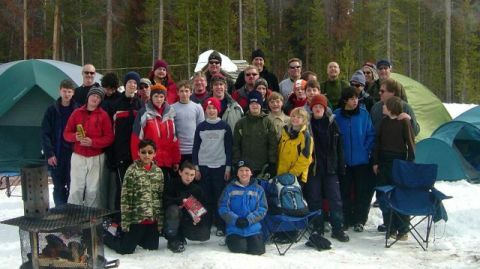 We are a group of energetic Boy Scouts and Scoutmasters supported by a dedicated cadre of parents that creates a fun leadership and learning environment for our youth. We invite boys interested in Troop 119 to join us for our troop meetings. We meet at Redeemer Lutheran Church located at 7755 Greenstone Trail just off Carpenter Rd, between Lemay Ave. and Trilby Rd., on Tuesdays at 7 PM excluding the first Tuesday of each month.